Remember the other day, when we told you that scientists had found some potentially habitable planets hiding in Kepler data? Well, scientists have found 18 more – and they're just as important. 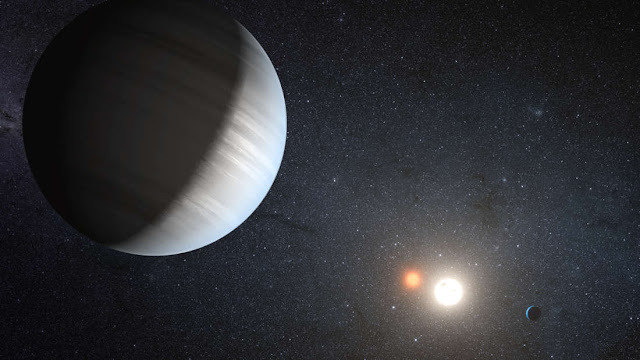 Scientists led by Guillermo Torres from the Harvard-Smithsonian Center for Astrophysics re-analyzed some data from the Kepler space telescope to confirm some of its candidate planets really existed. These are known as Kepler objects of interest (KOIs). The research is available on arXiv. Importantly, most of the planets are not only similar in size to Earth, but also orbit in their star's habitable zone where liquid water could exist. “These are not the first small planets in the habitable zone, but they are important because they increase the sample of such objects, which is important for statistical studies that aim to tell us how common these planets are in the Universe,” Torres told IFLScience. Of the 18 planets, 15 have a confidence level of 99.73 percent that they exist. The others are slightly lower. Almost all of them orbit M dwarf stars, or red dwarfs, so they're not quite the same as us. The planets range in size from 0.8 times Earth’s radius to 2.76, and have orbits ranging from 18 Earth days to almost two years. Five of the planets definitely orbit in their star’s habitable zone, and of those, two have a greater than 97 percent chance of being similar in size to Earth. They are KOI-2626.01 and KOI-4036.01. Another, KOI-2418.01, is definitely similar in size to Earth, and most likely orbits in its star’s habitable zone. Kepler finds planets by noticing the dip in light as they pass in front of their star, known as a transit. Three dips, or orbits, and you can confirm the planet exists. For planets with longer orbits, however, this can be a bit tricky. This is because Kepler only looked at one portion of the sky for four years before moving on to its K2 mission. Finding planets on Earth-like orbits is therefore quite tough. “The currently operating K2 mission is finding small planets orbiting close-by bright stars similar to our Sun, but only stares at them for 85 days – a far cry from the many years needed for true analogs of Earth to be found,” NASA's Steve Howell, a co-author on the study, told IFLScience. That’s where this latest research comes in. The scientists used a method that’s called BLENDER. This involves looking at information contained in the initial transit light curve of the planet. Doing this means that false positives, like a passing star, can be ruled out. Many of the candidates had already been validated by other methods. However, those methods failed to take into account the possibility that these planets orbited a different star on the same line of sight. If that were the case, these seemingly rocky planets would actually be much larger. It also serves as a bit of a useful test of the BLENDER technique, which could be used to confirm other candidate planets in future too. And when it comes to finding worlds like our own, every tool is going to be key.